The purchase of PokerStars (and the rest of the Rational Group) by the Amaya Gaming Group meant there would be a lot of changes for the world’s leading online poker site. It would be no longer be privately controlled by the Scheinberg family, and would instead be run by a major gaming corporation based in Canada. It also meant that PokerStars would now be part of a public company, giving players and investors the chance to own a piece of the site’s action through Amaya. That second change is one that might lead to some changes in the way Amaya presents itself to investors. According to a report from the Sunday Times, the company is now planning to add a second listing on another stock exchange, giving the public another way of purchasing shares in the firm. 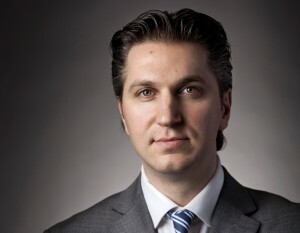 “There will be a dual listing,” Amaya CEO David Baazov told the Times. At the moment, Amaya is listed on the Toronto Stock Exchange, where it first began trading about four years ago. The new plan would bring Amaya to a more prominent stock exchange, with either the London Stock Exchange or one of the major New York exchanges. At the moment, Baazov hasn’t indicated a preference as to where he’d like to see the second listing take place. But PokerStars and the rest of Amaya’s holdings seem like a more natural fit in London, where many of the world’s largest gambling companies reside. Other major firms like William Hill, bwin.party and 888 Holdings all trade on the London Stock Exchange. The idea to add a secondary listing for Amaya was likely driven by increased interest in the company since their acquisition of the Rational Group. That purchase, made for $4.9 billion last month, gave Amaya control over the PokerStars and Full Tilt Poker brands, which combine to represent a majority of the global online poker market. Amaya had to take on significant debt in order to make the purchase, but the company is banking on continued growth for the PokerStars brand helping to offset this. That could be achieved by reintroducing PokerStars to the American market, where a change in corporate leadership could help get around regulatory concerns and “bad actor” clauses that have kept the site out of regulated state markets. PokerStars itself was never required to admit any wrongdoing as a part of their settlement with the United States government, a $731 million deal that also allowed the Rational Group to purchase the assets of Full Tilt Poker. However, the continued involvement of the Scheinbergs, the site’s founders, was seen as problematic by regulators, particularly as Isai Scheinberg still had an outstanding indictment from the US government. As a part of the Amaya purchase, the Scheinbergs agreed to completely remove themselves from PokerStars in all capacities.